Chef Roberto Castre serves up five tasty cebiches for National Cebiche Day. 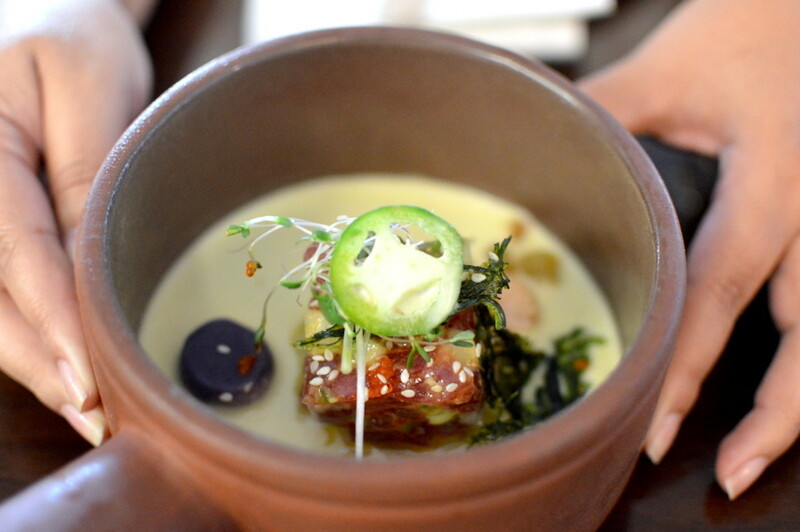 The Japanese-themed tuna cebiche at Latin Bites is a take on the Peruvian-Japanese fusion found throughout Peru. Peruvian cebiche, in its most basic form, is made with chunks of fresh white fish, leche de tigre ("tiger's milk," a lime-based acidic marinade), red onions, and toasted choclo (Peruvian corn). 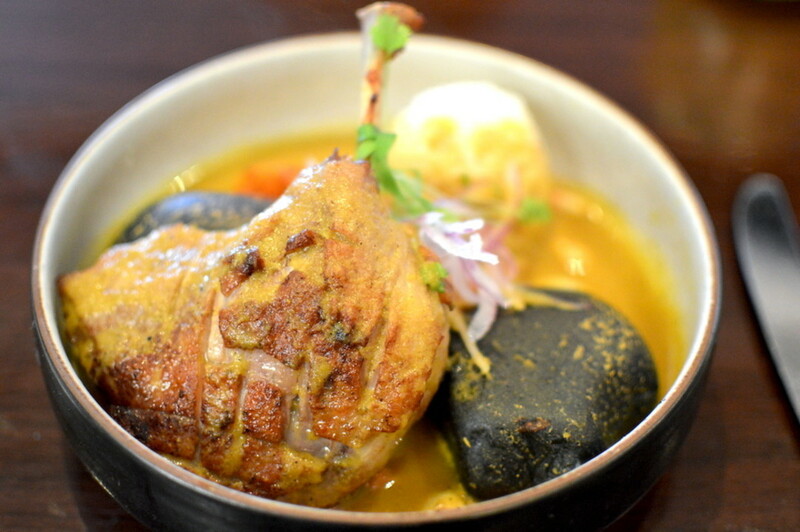 One of Peru’s celebrated national dishes, you can find this version at just about any restaurant in Peru, from the most basic roadside eatery to the country’s finest dining establishments. 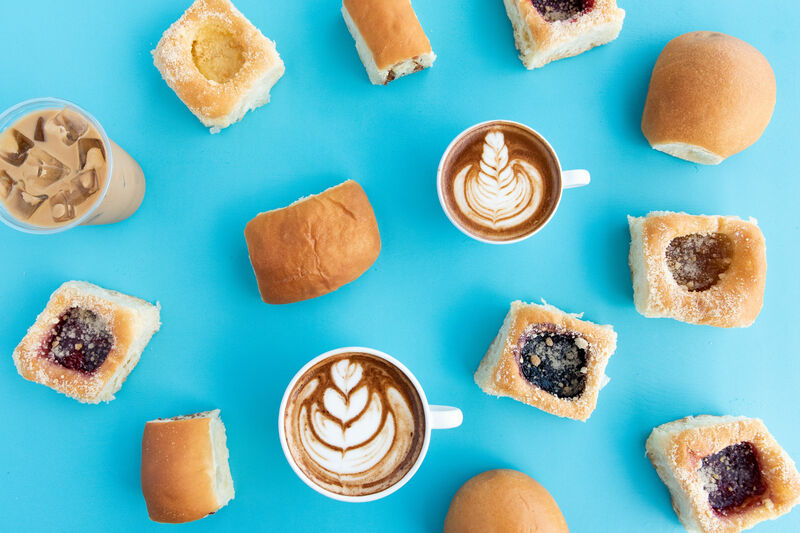 In Houston, you can certainly find traditionally prepared cebiche in many restaurants, (see Katharine Shilcutt’s roundup of Peruvian restaurants for a few options), but the best place to go for chef-driven, creative cebiche is Latin Bites. Executive chef and owner Roberto Castre makes regular visits to Peru to gain inspiration, changing and growing the menu on a regular basis to keep things fresh and new. This week, Castre has created five brand new cebiches in celebration of National Ceviche Day this Saturday, June 28 ($14 each). 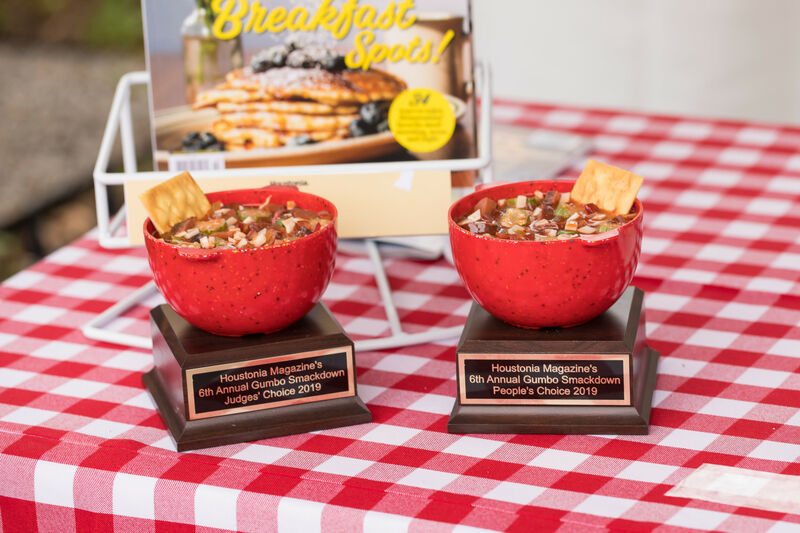 Offered just through this weekend, each dish is uniquely distinct, with a personality and flavor of its own. If you’re familiar with the flavor of cherimoya or guanabana, this cebiche is for you. 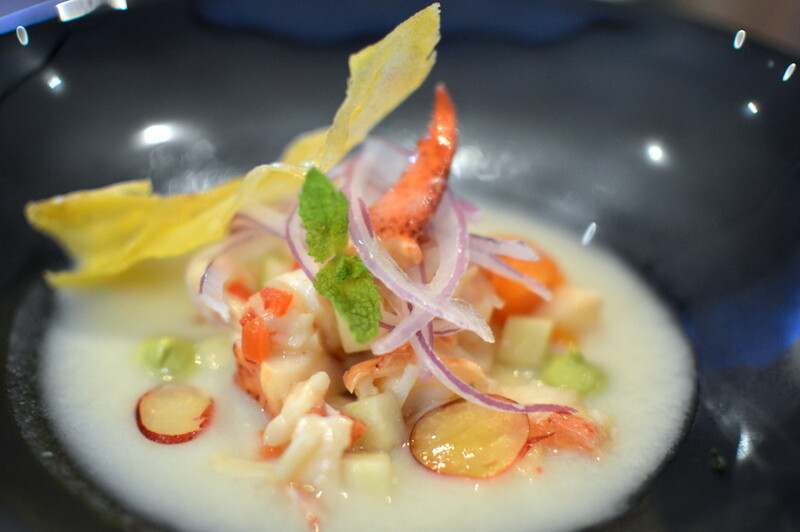 Fruity and aromatic, plump chunks of poached lobster intermingle with bits of apple, gooseberry, fresh mint, and sweet potato puree in a viscous, milky guanabana leche de tigre. 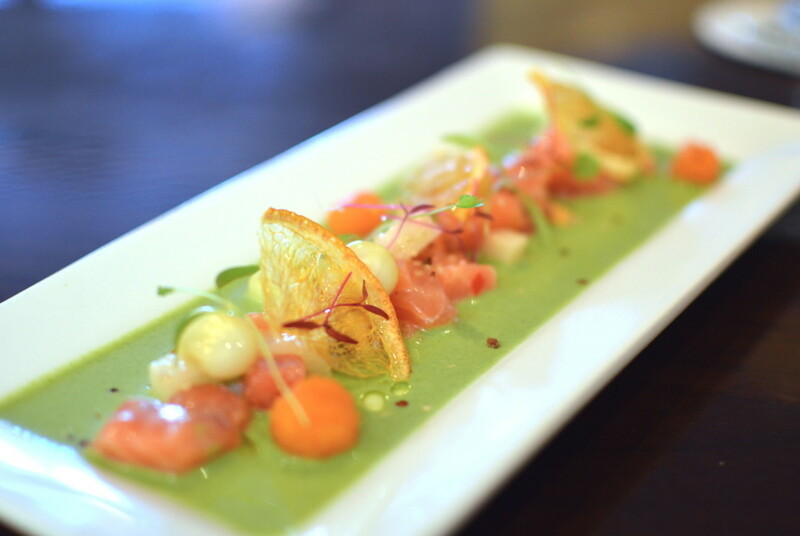 One of the sweeter ceviches you’ll taste, the flavors blend together impeccably. You’ll want to drink every last drop of the juice in bowl. My favorite of the four cold cebiches. This Japanese-themed ceviche is a take on the Peruvian-Japanese fusion that you’ll find all over Peru. Bright red ahi tuna chunks are chopped together and molded into a square, reminding me of tuna tartare. Leche de tigre is blended with wasabi to give it slight spiciness. Served in a clay pot, the idea is to break apart the square and mix all the components together—tuna, masago, avocado, jalapeno, sweet potato puree, chayote, green onion, and sesame—so that each bite expresses all the different flavors at once. Light and summery, herbaceous and delightful, this dish is a study of green and orange hues. Vibrant green basil leche de tigre provides the base for this fresh salmon dish, in which fresh chunks of salmon mix with chunks of compressed watermelon, fresh Peruvian corn, and sweet potato. Fried quinoa is sprinkled on top for an occasional bit of crunch. It reminded me more of a tiradito than a traditional cebiche, but that’s just semantics. I loved it. If you like the silky texture of scallop, you’ll love this scallop cebiche, which was presented on a large round plate swimming in a pinkish-purplish blackberry leche tigre. More like a fancy tiradito, the scallops are cut sashimi-style in large round discs, peeping of the sauce and topped with yucca chips, red radishes, red onion, sweet potato puree, and choclo. Cancha powder and rococo powder are dusted onto the dish for flavor, but this was mildest of the speciality ceviche selections. Did you know that ceviche can be served hot? Apparently, it’s common practice in the northern regions of Peru, and Castre’s version—made with sous vide duck leg that has been seared so that the skin is crispy—is phenomenal. The dish arrives at the table in an clay pot. Inside, two large hot stones prop up the duck leg, which sits on a bed of rice, red onion, Peruvian corn, and sweet potato. Aji amarillo (spicy yellow pepper) leche de tigre is then poured onto the dish table-side, causing the dish to sizzle and emit a fragrant, mouthwatering stream. 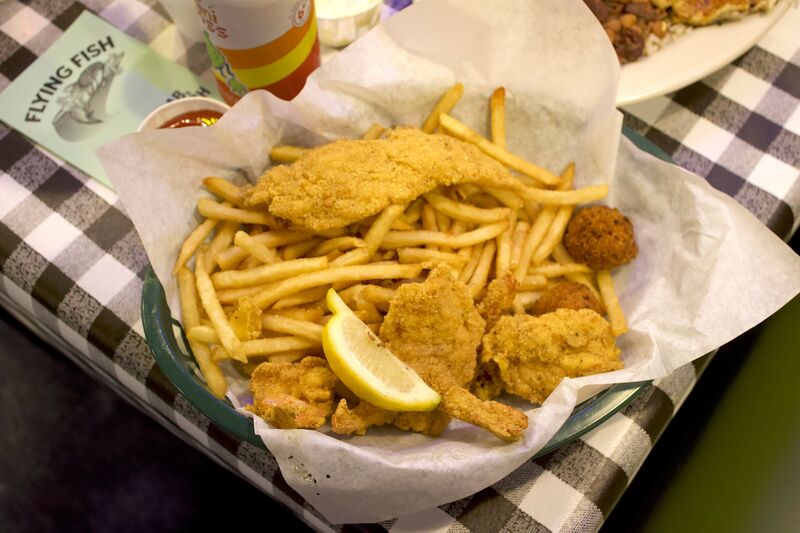 If you order all five cebiches, this one will come out as the finale. Hearty and savory, the aji amarillo leche de tigre was reminiscent of a less viscous curry, but without the turmeric flavor.